If you are in a hurry and just want to find out what the best CPU for Virtual Reality is, then I recommend the AMD Ryzen 5 2600 as the best one. It’s time to get serious about VR. The last thing you want to do is spend hundreds (or more) on a VR headset and then not have a computer good enough to run it. You also don’t want to spend $5,000 on the ultimate gaming computer when you can have just as good a VR gaming experience on a much less expensive system. Which CPU is the best for Virtual Reality? What do you need to look for in a good VR processor? I’ll help you get the best virtual reality experience while also saving you some serious cash on your CPU. What to Look for in a CPU? When building the ideal computer for virtual reality, the central processing unit (CPU) is one of the most critical parts in the equation, second only to your graphics card. Pick the wrong processor, and you end up with stuttering and glitches caused by bottlenecking. We’ve all sat in traffic and felt the frustration of not being able to move. Back a few years ago, my drive home each day was fine until I got to one specific place. It was a place where three lanes of traffic merged down to one lane. It didn’t matter what time of day it was, that merge was always backed up. The same type of thing can happen in your processor. As your computer tries to run the processes needed for your VR game, if your processor is too slow, the processes back up. This is bottlenecking. It can cause freezing and dropped frames in your video (stuttering). What Features and Specs Make a Good VR CPU? There are many aspects to a central processing unit, but the two primary specs you need to look at are the clock speed and the number of cores. What Are Cores in a Processor and How Many Do I Need? A core in a central processing unit is where the processor runs calculations and processes. It’s the “thinking” part of the CPU. Each core can process one calculation at a time, processing each calculation in order. When a CPU has multiple cores, it can process multiple calculations at the same time. So, a central processor with two cores can process two calculations at once, and four (quad-core) can process four calculations at once. Theoretically, the more cores, the faster the CPU. However, that’s not always the case. First, clock speed also plays a role in the speed, which I’ll address in a moment. Second, the game you are playing has to be programmed to use multiple cores. So, if a game is only programmed to use four cores, having eight cores won’t make any difference. So, how many cores do you need? I recommend four. Quad-core processors have been around for a while now, and most VR games are programmed for them. Few current games are programmed to be able to use more cores. Since six and eight core central processing units are not very popular yet, I don’t expect games to be developed for more cores any time soon. What is a CPU’s Clock Speed and How Fast Should I Get? The clock speed of a central processor gives you an idea of how many calculations it can do per second. Do you remember doing speed drills in math class? You may have done 20 or 30 math problems a minute. Your computer’s processor is doing billions of calculations every second. The higher the GHz (GigaHertz), the more calculations the central processing unit can do per second per core. Notice the clock speed is for each core. Thus, each core is doing billions of calculations per second. It’s like having four different people working on those math speed drills. You’ll get more math problems done in the same amount of time. What speed do I need? Because not all apps use all your CPU’s cores, it’s helpful to have a higher clock speed. For VR, I recommend a clock speed of at least 3 GHz. If you can get up to 4 GHz with boosting, you’re golden. These days, CPUs don’t have a static clock speed. They have a range. The clock speed you find in the specs is the base clock speed. However, most central processing units can speed up a little when needed. When a central processor speeds up temporarily (as needed), it’s called boosting. You can also overclock many CPUs. Overclocking is different from boosting in that you are speeding up the normal operating clock speed of the central processing unit. This is a little risky, though. The faster you run the chip, the hotter it gets. By overclocking, you may burn out your processor or shorten its life. I don’t recommend overclocking unless you know what you’re doing. Are All Cores and Clock Speeds the Same? Yes and No. Technically, they are the same. However, practically they are not. CPUs consist of more than just cores and clock speed. There’s an entire infrastructure that includes things like bus speeds, cache memory, systems on a chip (SoC), and more. Because of this, two chips with the same clock speed and number of cores can perform very differently. Typically, you can safely compare chips of the same brand which are in the same family. If they are the same brand, but different families, it starts to get a little tricky. If the processors are different brands, then you need to look at benchmarks. Benchmarks are the results from tests of CPUs (and other computer parts) running real programs. Benchmarks show the chip’s performance in real life situations. So, if you have a few central processing units you are considering and want to compare them, do a quick search for the benchmarks of those chips. If My PC Plays Regular Games Well, Am I Fine for VR? My answer is… It depends. Virtual reality is particularly demanding on a computer. First, you run apps that need to be able to display 360-degrees of surroundings at any time. Second, you are running not one high-resolution display, but two. Also, these two screens are showing slightly different images. That requires a lot of processing. In addition, VR headsets, like the Oculus Rift and HTC Vive, run at 90 frames per second (FPS). This means they refresh the screen in front of each eye 90 times every second. That’s a lot. Your typical PC monitor only runs at 60 frames per second. This refresh rate is significant. Your eyes and mind can handle a slightly stuttered video on a monitor. They are less forgiving in virtual reality, where the screens are right in front of your eyes, and you can’t see anything else. Stuttering or lag (delay) in the video is not only annoying, but it can also make you feel nauseated. So, if your PC can play regular games well, it may able to handle VR games. However, it’s not a guarantee. The Oculus Rift minimum specs require an Intel Core i3-6100 or AMD Ryzen 3 1200, FX 4350. The Rift’s recommended central processing unit is an Intel i5-4590 or AMD Ryzen 5 1500x or greater. Similarly, the HTC Vive recommended processor is an Intel Core i5-4590 or AMD FX 8350. The central processor specs are the same for the HTC Vive Pro. The recommended CPUs for both headsets are a pretty low bar to get over. Most PCs you’ll find at a store like Best Buy are fine. However, some of the more demanding VR games require better central processing units. The number of games requiring more processing power is only going to increase in the coming years. I recommend exceeding the recommended specs to ensure your virtual reality system will work for years to come. However, if you already have a PC that meets the minimum requirements, you could wait to upgrade. The first is the minimum level central processor I’d recommend. Next, is a CPU that is a little better and will meet your current needs. The third is one of the best consumer processors you can get without blowing your bank account. There are better central processing units on the market, but they don’t provide much if any, performance improvement and they do cost a lot more. The Intel Core i3-8100 is the modern equivalent of the recommended Intel Core i5-4590, maybe a little faster. It’s a quality build and is relatively inexpensive. You’ll be able to play most virtual reality games with it, and it gives a good, though not perfect, experience. 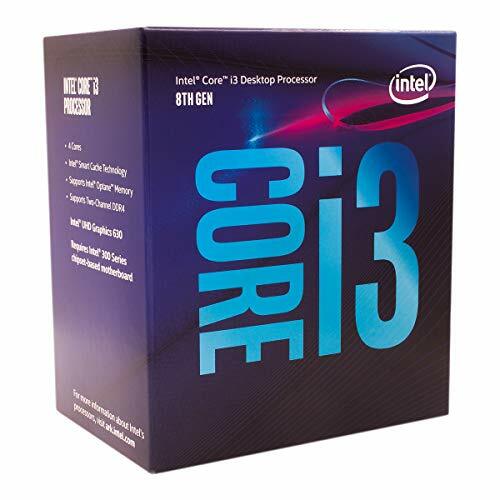 Pick up a Core i3-8100 here or search for computers with an i3-8100 on Amazon here. The AMD Ryzen 5 2600 is a good central processing unit that can handle pretty much any VR game on the market right now. The new Ryzen chips are a serious improvement over the previous generation AMD CPUs which couldn’t keep up with Intel. This pains me to say because I used to be a big AMD guy. I’m glad AMD has stepped up their game lately. The competition with Intel is good for everyone. 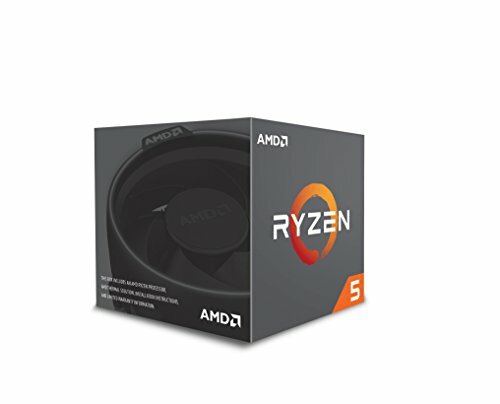 If you are building a desktop, you can pick up the AMD Ryzen 5 2600 processor here. If you’d rather someone else do the building, you can search for PCs with a Ryzen 5 2600 on Amazon here. The Intel Core i7-9700k is a phenomenal CPU. It has a base clock speed of 3.6 GHz that can boost up to 4.6 GHz. It also has eight cores. The rest of the internal structure of the central processor compliments these impressive specs making it one of the best consumer central processing units on the market. The i7-9700k can easily handle any virtual reality app you throw at it as well as any non-VR software. With its high clock speeds and eight cores, you can expect it to be able to handle the newest and best VR games for years to come. 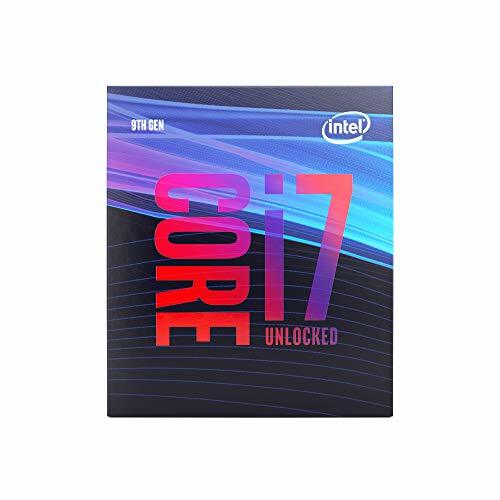 If you are ready to build the desktop that will make your neighbor’s jealous, you can buy an Intel Core i7-9700k central processing unit here. You can also search for computers with the i7-9700k on Amazon, here. The AMD Ryzen 5 2600 wins out as my winner. The Ryzen 5 should be able to handle any VR game out there. It has six cores, and its clock speed is more than enough to handle the demands. I’d love to go with the Intel i7-9700k, but I can’t justify recommending paying twice as much for processing power that isn’t necessary right now. Before I finish this article, I would be remiss if I didn’t point out that the CPU is just one part of your overall system. It’s important. However, if you don’t have a motherboard, RAM, hard drive, and especially graphics card to compliment it, you can end up with a system that doesn’t perform well. So, be sure to get a good total system, not just a good central processing unit. If you want to go overboard on any part, make it the graphics card. A decent processor with a great graphics card will outperform a decent graphics card with a great CPU.